A farmer in Turkey was terrified when he spotted an unidentified flying object hovering over his land. Turkish farmer Hasan Demir lives in Sirakonak, a remote village with a population of less than 500 people. He spends most of his time tending to his cows and does not have much contact with modern technology. It is not surprising, then, that as soon as he heard the rumbling of a drone in the area he immediately assumed it was a large swarm of flies aiming to attack his cattle. Hasan went out to see what the trouble was with his lasso in hand. It would turn out that it wasn't a swarm of flies at all but a drone being flown by a young filmmaker named Serkan Demirel. 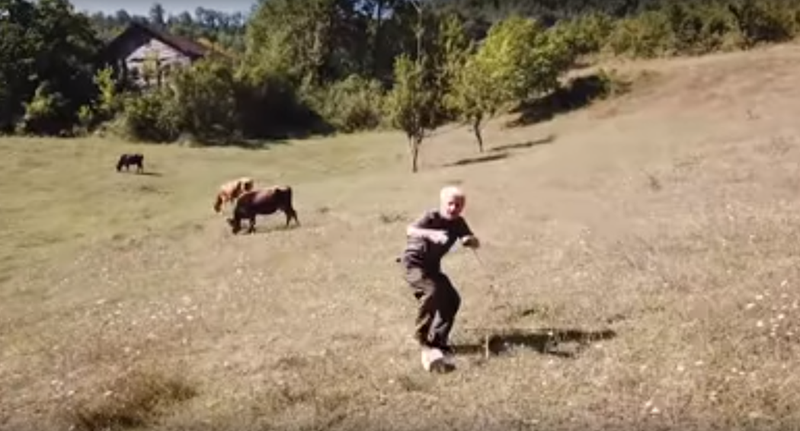 The footage Serkan's camera captured showed Hasan running away from the unidentified flying object, seemingly terrified by it. Serkan visited Hasan's house later to assure the elderly farmer that everything was above board. Perhaps Serkan shouldn't have been flying his drone over private property in the first place?